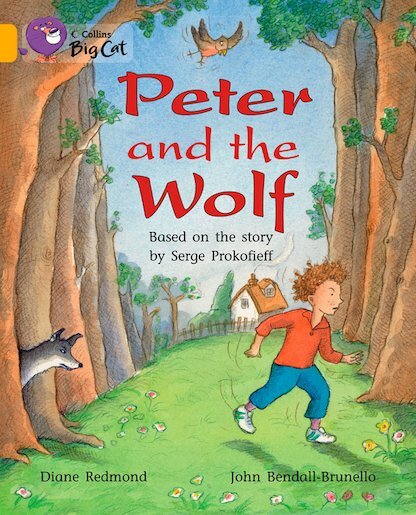 This book presents Serge Prokofieff’s famous musical story about young Peter and the Wolf in the style of a play with four scenes. The cast of characters on page 2 shows how Prokofieff used a different musical instrument to represent each character. With the help of a narrator, the story reveals, how Peter outwits the big bad wolf.